One of the joys of riding the Northern Pacific's North Coast Limited was watching for Milwaukee Road freights on the frequently parallel trackage. 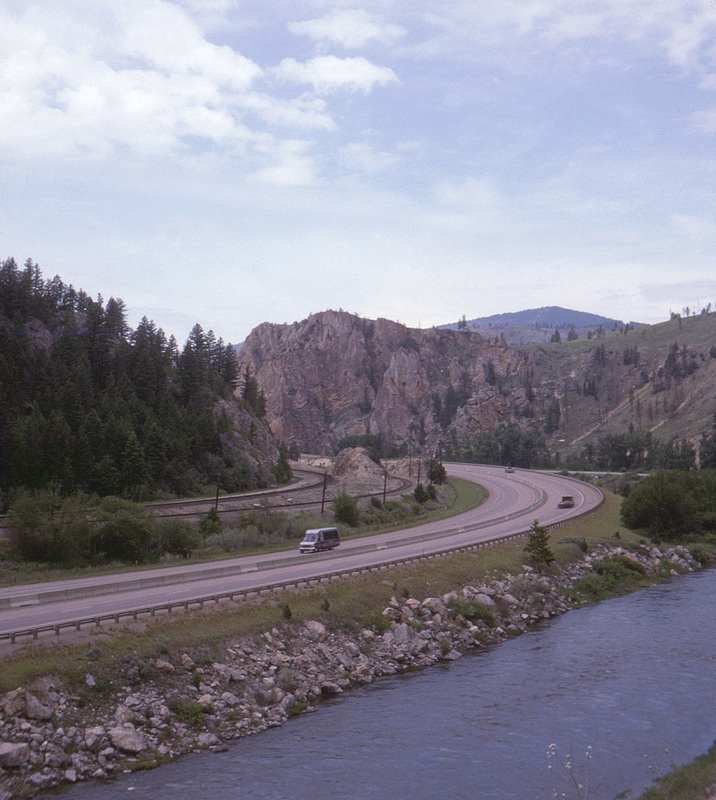 At Bearmouth, Montana, about 40 miles southeast of Missoula, both roads shared a narrow passage between rocky cliffs and the Clark Fork River, a squeeze later made even tighter when Interstate 90 was built. Northern Pacific ultimately came out ahead, however; when the Milwaukee Road finally abandoned its Pacific extension in 1980, the Northern Pacific promptly acquired the valuable bit of right-of-way to add a passing siding. In this view looking west from the I-90 frontage road, the former Northern Pacific is the near track and the other the former Milwaukee Road.